Arli Hintz has been with Elders since May 2011, starting in Reception, moving to Property Management, then Sales Administration and now as Operations Manager. 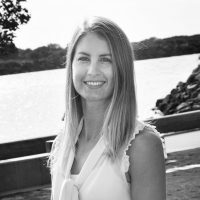 Her role involves her overseeing many aspects of running both the Port Macquarie and Crescent Head Offices. Arli has been a resident of Port Macquarie for 8 years. Her clients are quick to praise her efficiency and attention to detail. Arli thoroughly enjoys her role and strives to completing any tasks she is given in a timely and efficient manner. Would you like to speak to Arli?